For the 43rd release from Techno Addicts label boss Tony Mafia prepare this special compilation for celebrating 37 years of life and almost 10 years as a DJ Producer. 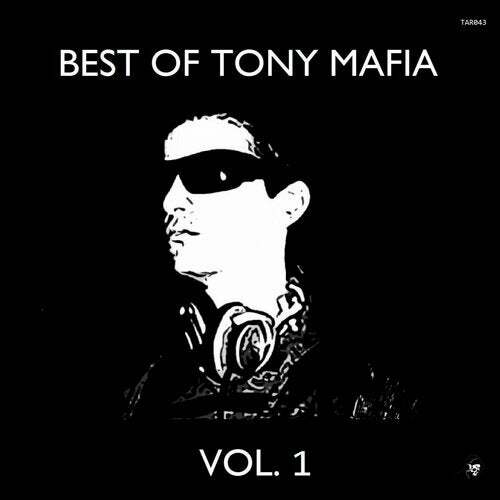 Tony Mafia began his music career around 1996 as a drummer in a alternative rock band and making tracks as a hobbie in year 1999 with FL; did around 10 trance tracks but they where just the beginning and he stopped ; at that time he was listening to Tiesto, Carl Cox, Frankie Bones, Judge Jules, Monika Kruse, Danny Tenaglia, Paul Oakenfold, Paul Van Dyk, George Acosta, Gatecrasher Summer Sound System, Dance Valley parties, The Love Parade. Then in 2006 was influenced by the music from Nathan Fake, James Holden, John Dogweed, Sasha, Guy J, Guy Geber, Timo Mass, Audion, Spartaque, Slam, D-Nox & Beckers, John Dahlback, D-Unity, Tesla, Nikitin & Semikashev, Andrea Roma, Ahmet Sendil, Florian Meindl, Dubfire, Richie Hawtin, Magda, Sven Vath, Ramon Tapia, Boris Brechja, Jona, Henry Saiz, Loco & Jam, Gel Abril, Alan Fitzpatrick, Uto Karem, Sebastien Leger among others & bought his first mac mini and Logic Express 7.2. with m-audio midi controller. In 2009 he signed his first release with DJ Kot's label Underground Recordings from Ukraine. After this time in 2010 Tony was working on his productions to become more profesional and work in his unique sounds and learning new skills also establishing new relations around the world in the electronic music business, opening his first label and signing with many top underground record labels. Thru his career Tony has experimented different alias or projects in this way expanding his knowledge of producing several genres under different monikers to show he is an awesome producer in different genres and getting more fans. Now days Tony keeps working under his projects as Tony Mafia, Mnml Doktor, Lahas, Rico Star, Holggy & Maky Kruse. Has Remixed DJ's as MicRoCheep & Mollo, Greg Slaiher, Michael Felix, Mariano Santos. Also been remixed by talents as Gaga, Miguel Bastida, Johnny Kaos, Alfonso Padilla, James Justin, and others. From Progressive House to Deep House to Melodic Techno to Techno / Hard Techno. No doubt Tony's sounds and skills are improving more and more. At this moment Tony Mafia produces in Logic Pro X & FL 20, runs 5 record labels (Tony Mafia Label Group), a mastering company and he works very hard day by day to achieve may goals in this long term career for being signed to TOP & Famous record labels, keep supporting top talented producers from all over the world and to be signed to Top Bookings Agencies so he can show his talent to the world. Also keep making new relations in the music business and keep learning new skills. TECHNO ADDICTS RECORDS 2019. Copyright All Rights Reserved.